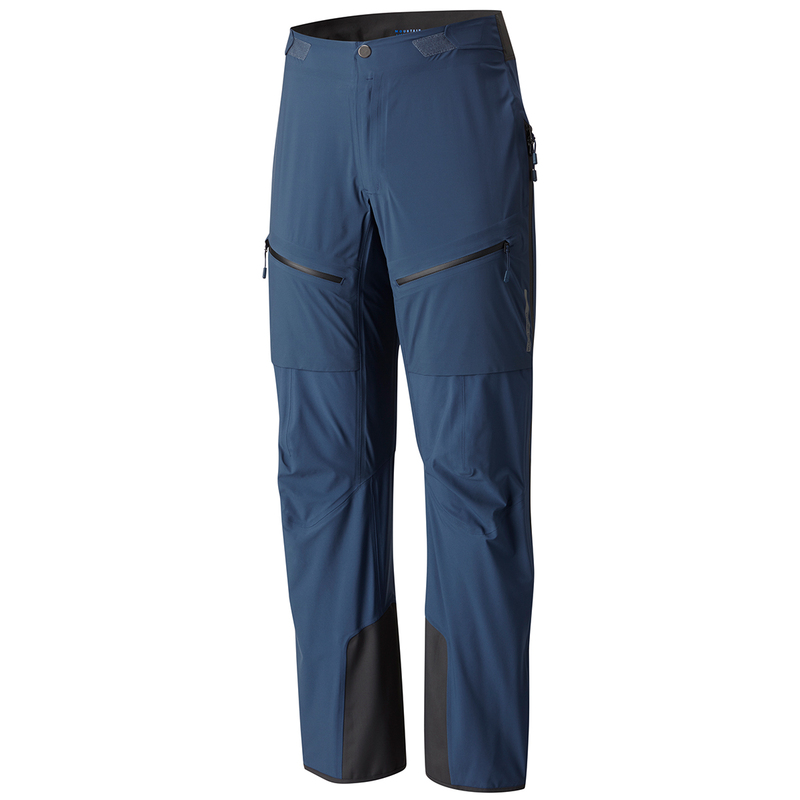 The Mountain Hardwear Superforma Pants are 3L, waterproof hardshell trousers built for adaptability in changeable weather conditions. 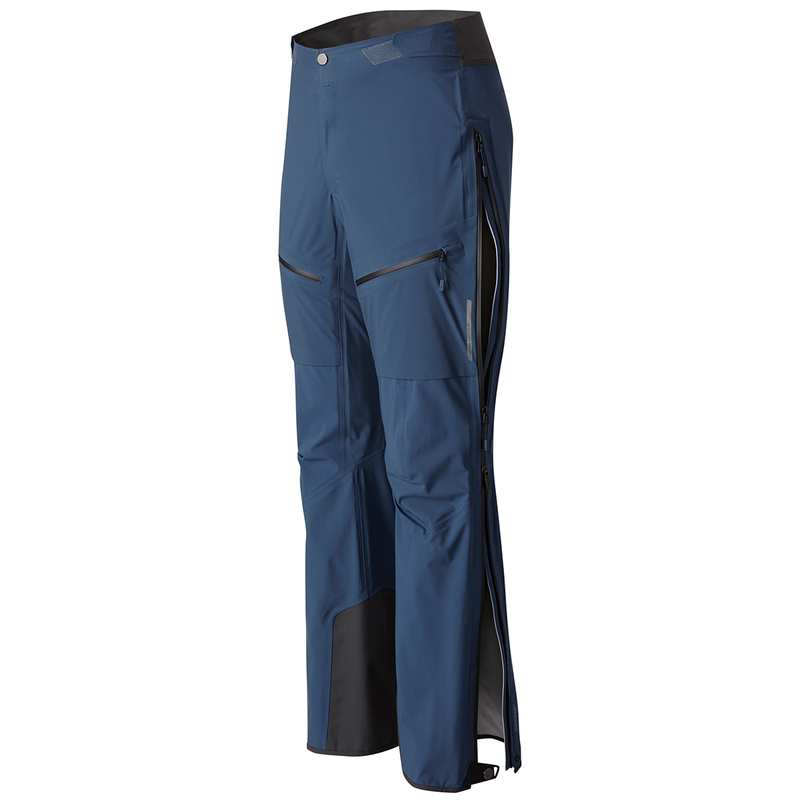 When the sun breaks through the alpine cloud during a sluggish uphill stint, 7/8 side zips with 2-way side zippers allow you to dump heat quickly, and they can be easily adjusted to suit the depth of snow. In harsher weather, like driving rain or wind-blow snow, where you don't want to open the side zips and risk getting wet, the "always-on" breathability of the 3L Dry.Q™ Elite fabric prevents you from overheating, unlike traditional waterproof-breathable fabrics that require high levels of exertion before moisture vapour and excess heat can escape. 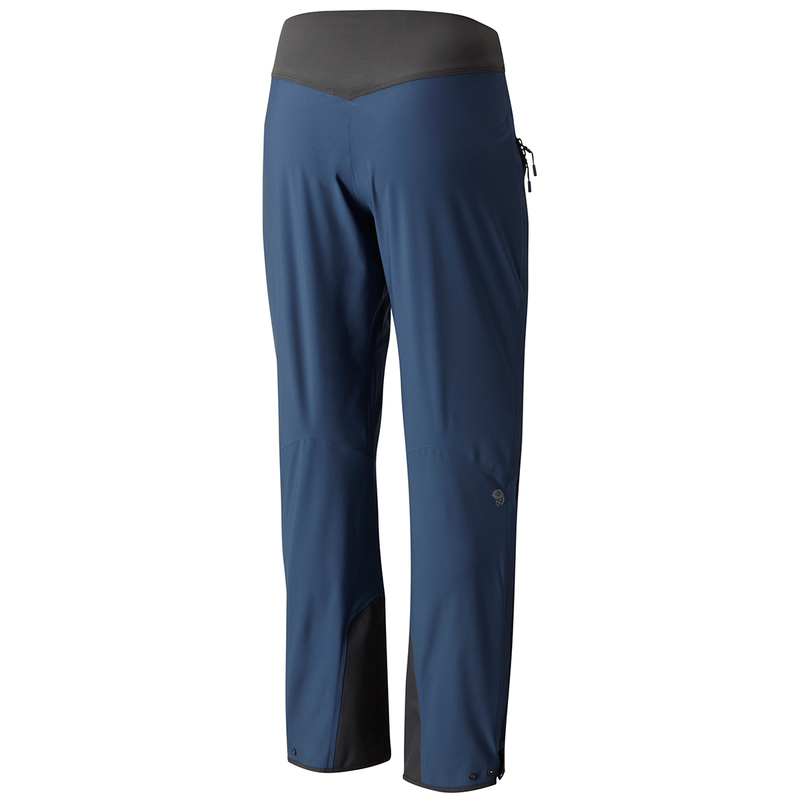 Highly waterproof and windproof, the Superforma Pants are ideally suited for the alpinist, mountaineer, or trekker seeking the durability of a 3L hardshell with a level of enhanced breathability to provide better thermal regulation during intense activity. The RECCO® Rescue System is sophisticated radar technology that helps rescue teams to find lost or buried skiers, riders, and mountaineers. RECCO® detectors send out a directional search signal which is then echoed by the RECCO® reflectors embedded into outdoor clothing. This allows rescue teams to use lightweight hand-held detectors on the ground or from a helicopter to efficiently search large or dangerous areas of a mountain. RECCO® is not a substitute for an avalanche transceiver and does not guarantee the location or survival of a buried or lost person. They do, however, provide another chance of finding lost mountaineers and those buried without a transceiver. Originating as a textile manufacturer of backpacks, boots, and apparel 50 years ago for the US Military - who still use them today - CORDURA® fabrics are highly durable, hard-wearing materials designed to keep soldiers protected within extreme and hazardous environments for months on end. CORDURA® fabrics are now regularly used in the outdoor industry due to their proven status as one of the toughest materials on the planet.